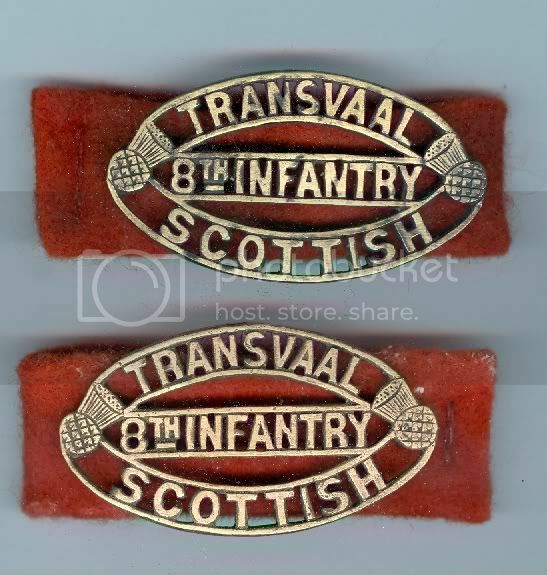 Thread: Transvaal Scottish badges from my collection. 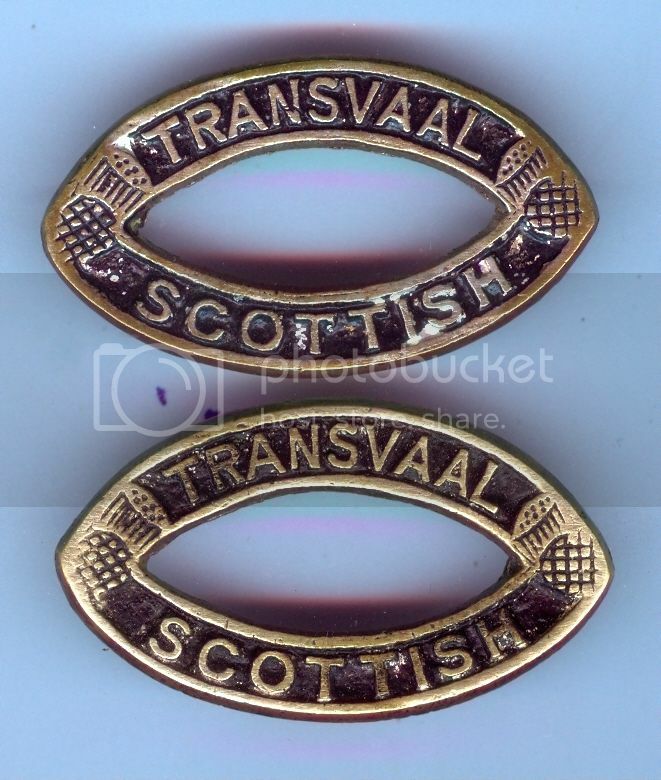 Transvaal Scottish companies wore a modified version of Cape Town Highlanders collar badges and buttons. Bearing the motto of their C/O. Mors Mihi Lucram (Death is my reward). 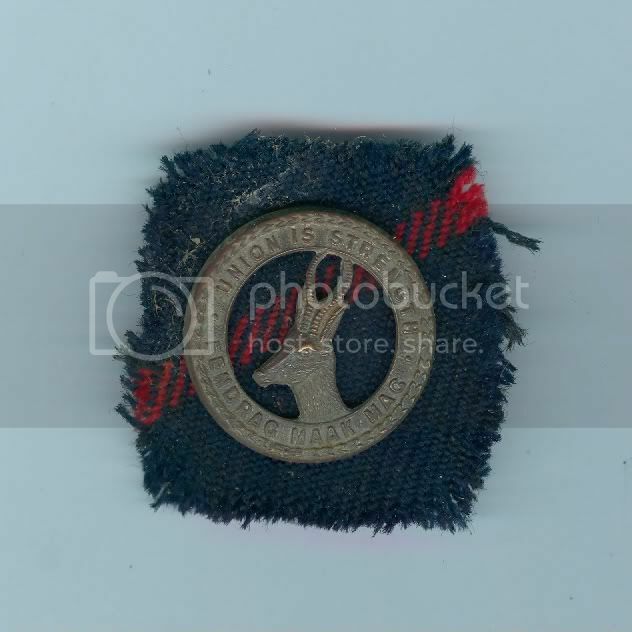 ORs WW1 brass badge with Murray tartan. Last edited by ronmarsden; 4th April 2013 at 21:27. 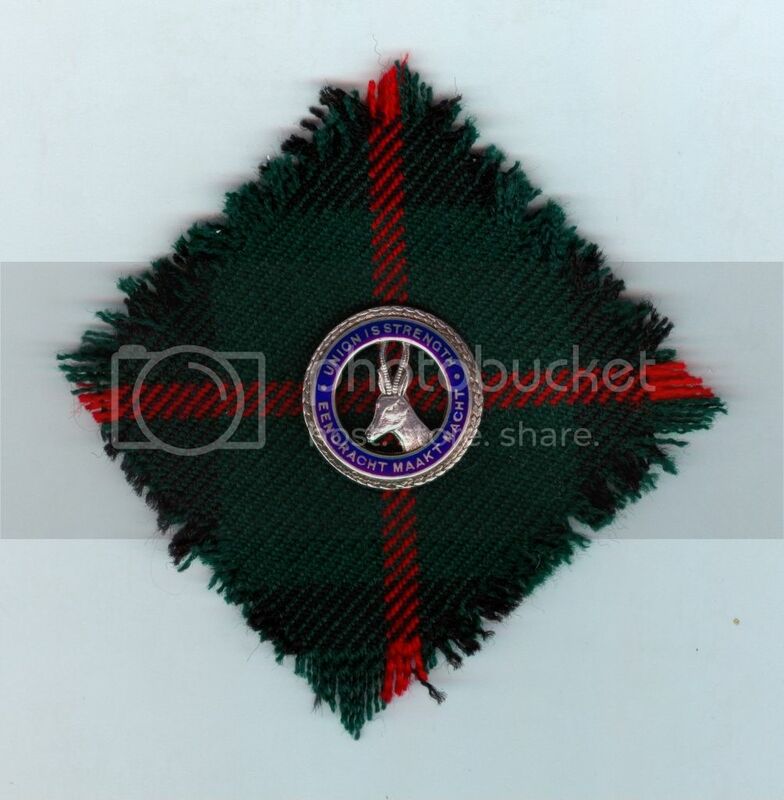 Silver and enamel sweetheart badge on Murray tartan. The pieces look almost new, the size of the tartan patch would suggest for ball gown wear. 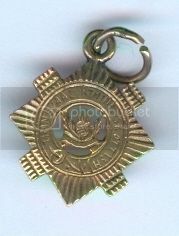 Small gold watch fob medalion Transvaal 8th Scottish WW2 period. Last edited by ronmarsden; 4th April 2013 at 21:28. 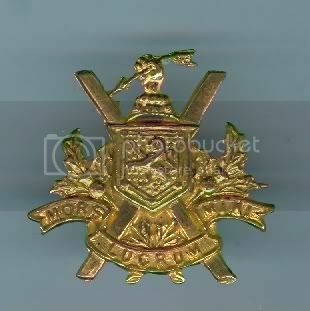 Gilt officers collar badge WW1, with brooch fitting to wear as a sweetheart. Last edited by ronmarsden; 4th April 2013 at 21:30. Last edited by ronmarsden; 4th April 2013 at 21:31. 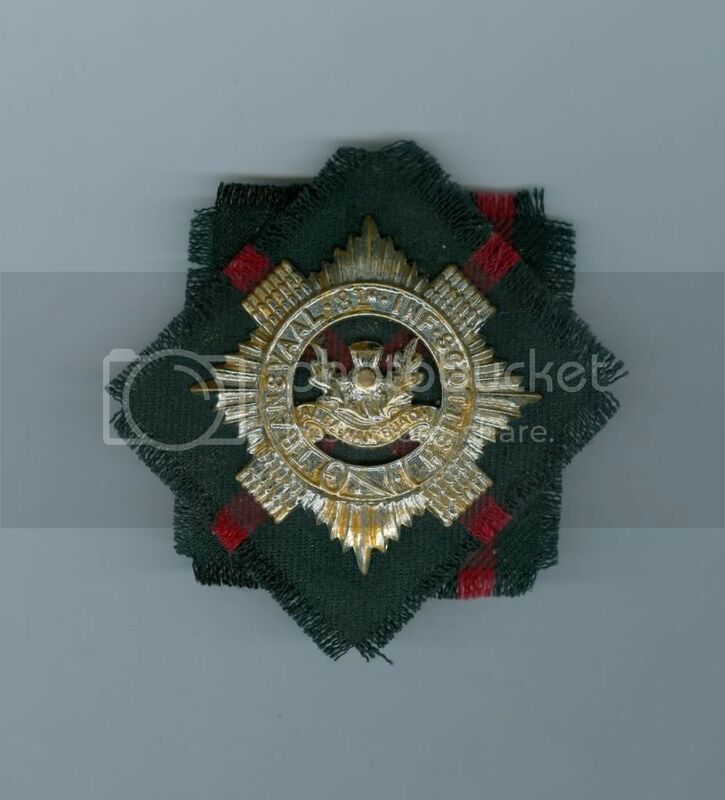 Pair of ww2 shoulder titles with orange backing denoting unit has volunteered for overseas service. Last edited by ronmarsden; 4th April 2013 at 21:32. 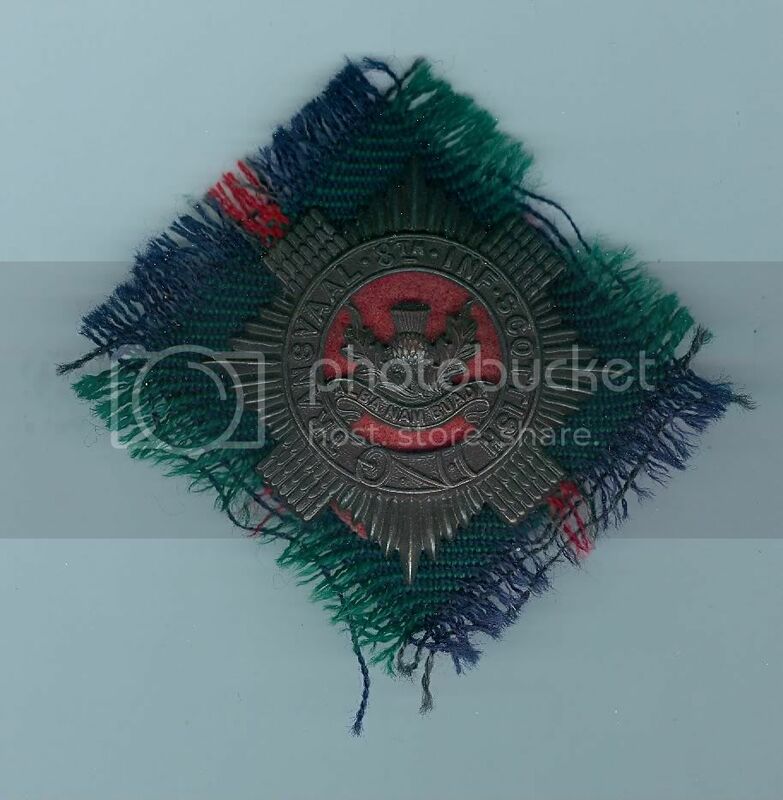 Officers bronze WW2 example with red backing of 2nd Bn. Last edited by ronmarsden; 4th April 2013 at 21:33. 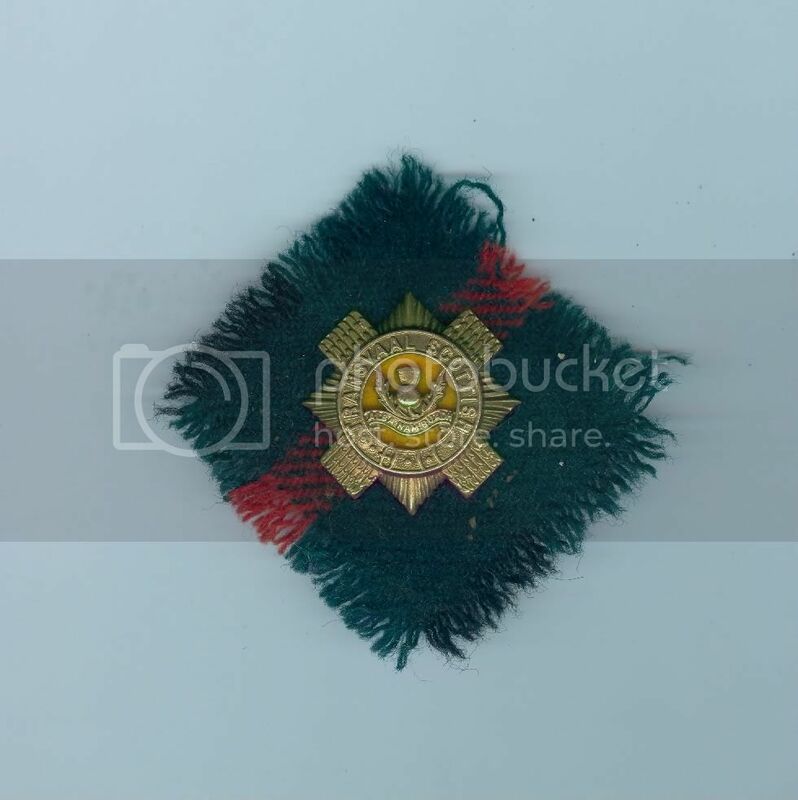 WW2 NCOs or pipers badge in silver plate very worn condition. 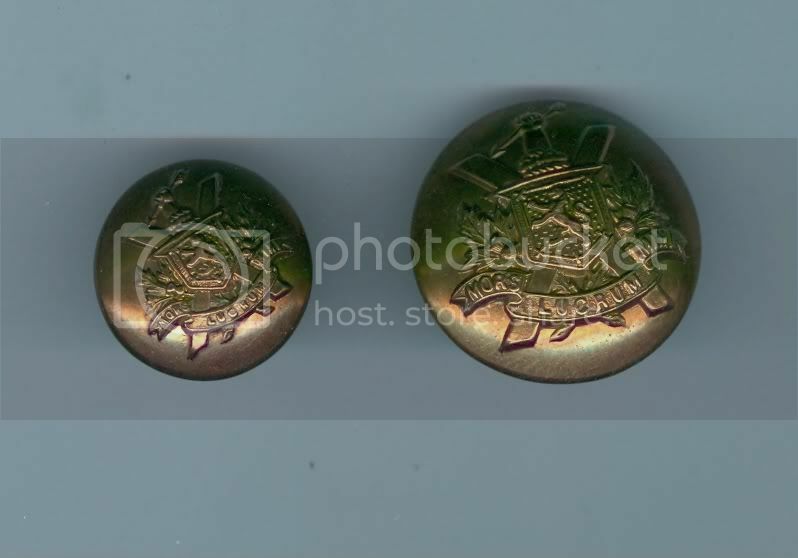 WW2 theatre made cast pair of shoulder titles. Last edited by ronmarsden; 4th April 2013 at 21:34.